Earning a Pilot’s License: What Type is Right for You? If you or someone you know is interested in earning a pilot’s license, you may think that one is just like another. It turns out this couldn’t be further from the truth. After earning your student pilot certificate, you can work toward qualifying for one of three types of pilot’s licenses: private pilot, recreational pilot, or sport pilot. Understanding which is right for you should be the first step in your journey to becoming a licensed pilot. The private pilot’s license is the most popular type of pilot license, as it gives you the greatest amount of flying freedom. However, it also has the most stringent requirements of the three types of licenses. Is it right for you? This license is best for those who want to fly aircraft for a living, either with an airline or by opening your own aviation business. If you want to fly at night and/or outside of U.S. airspace, you will also require a private license. Requirements and restrictions: Earning a private pilot’s license requires an FAA medical certificate and at least 40 hours of flight training time (the average pilot requires about 70 hours, which often takes 6 months or more). Once earned, however, you are not limited in the aircraft size that you can operate (though certain aircraft will require “type” ratings), nor in the number of passengers you carry. You can fly at night and outside U.S airspace, and operate aircraft with retractable landing gear. This license is more limiting than the private pilot license, but if you plan to fly close to home during daylight hours, it may be all you need. Is it right for you? A recreational pilot’s license is a good fit for someone who flies recreationally as opposed to professionally, during the day, and doesn’t need to carry more than three passengers. Once you have your recreational license, keep in mind that you can also complete additional training at any time to upgrade to the private license. Requirements and restrictions: The recreational pilot license requires a minimum of 30 hours of flight training (the typical pilot, however, will require about 44 hours to complete this course), and may operate an aircraft that seats up to four people. While they may not fly outside of the U.S., they may perform night flights as long as they do not carry passengers and are under CFI supervision to obtain additional certificates and/or ratings. 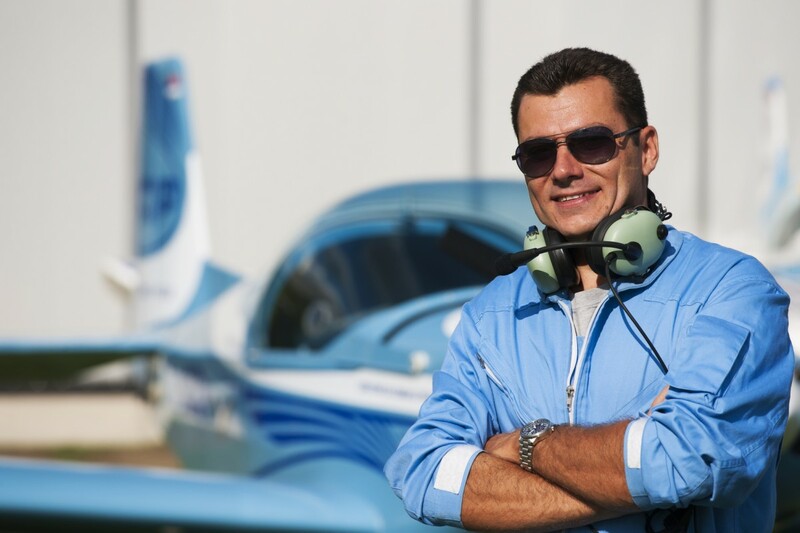 Earning a sport pilot license has fewer requirements than either a private or recreational license, but also carries with it the most restrictions. This license was first introduced in 2004. Is it right for you? Sport pilot licenses are useful for aircraft hobbyists, experimental aircraft kit makers, and others who consider flying a personal as opposed to professional endeavor. Getting a sport pilot license will give you the ability to legally fly a limited class of aircraft called light sport aircraft or LSA, which may contain no more than two seats. Requirements and restrictions: The sport pilot license requires a minimum of 20 hours of flight training (though the typical sport pilot actually receives 33), and pilots may not fly at night or outside of U.S. airspace. Aircraft operated can be no more than 1,320 lb max certificate gross weight, with a maximum of two seats (a typical LSA). While it does not require an FAA medical certificate to receive this license, a medical or U.S. driver’s license and self-certification is required. For more information about earning your pilot’s license, visit the FAA’s Become a Pilot guide.